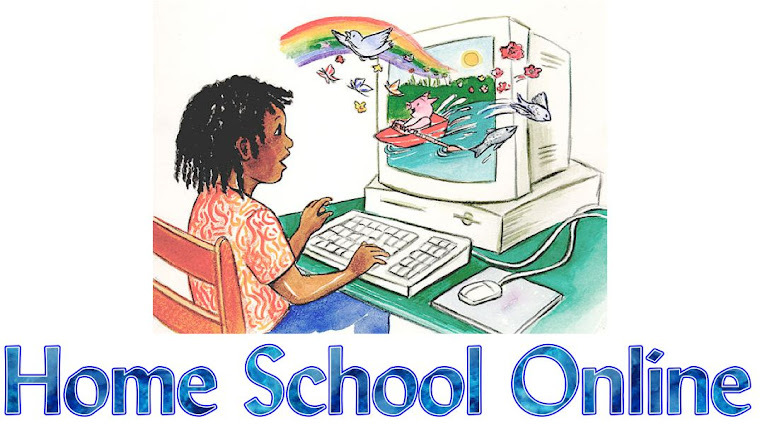 Home School Online: What Type Of Learner Do You Have? One of the biggest learning curves I had as a new homeschooler was understanding how differently each of my children learn. My first little homeschooler was my "relational" learner. He LOVED to interact, to discuss, to follow rabbit trails. My next little learner was the exact opposite. He loved to have a list, a well lit area and a deadline. He THRIVED when given a schedule! He was my "independent" learner! Though I understand and appreciate this today, I remember how confusing it could be in our early years. Some of my favorite “first” homeschool memories revolved around my relational learner and his experiences. I remember reading a biography on Helen Keller as we studied the “Five Senses”. This child could not WAIT for me to do fun little object lessons with him! If I close my eyes it seems like just yesterday that I was making a mock blindfold so he could experience what it must have been like for Mrs. Keller as she washed dishes. Later that week we picked up some old biographies from the library that had actual pictures of Helen, her family and her dogs. She loved Boston Terriers and owned many over the years, this was a huge hit since we also own a Boston. We closed out our week snuggling on the couch watching The Miracle Worker over a big bag of piping hot POPCORN! My relational learner made me feel successful because he allowed me in and shared his experience. So Imagine my surprise when my next little learner began his homeschooling journey and I found him not having the same experience as his older brother? He did everything asked and always had a good attitude, but he didn’t seem to have that same “spark” when I would pull him close to discuss or do projects. I noticed that when trying to get his feedback it felt like I was pulling teeth and he would often guess at the answers he thought “I” wanted to know. My independent learner worried me that I was doing something wrong because he didn't need me to be a part of his experience. Fast Forward a few years to when I became pregnant with our third child, we were forced into a new and extra busy season of life filled with doctor appointments, remodeling and hospital stays. Everything I had ever known went flying out the window as the boys needed to step up and work more independently in this short, fast paced season of life. My young little independent learner lit up like a Christmas tree as he pulled out his list, prepared his schedule and grabbed his workbooks. He couldn’t wait to sharpen his pencil and get going. When he was done with his school he practically skipped into the living room to show me his completed work and while I was concentrating on checking his answers he would begin to process and share all that he had learned! I couldn’t get a word in edge wise. He THRIVED through contemplation, whereas his older brother thrived through DISCUSSION! That was the day that the light bulb came on for this mama and I began to understand how very different my learners are. Neither is better or worse, right or wrong. It's not about 'ME" needing to feel success, but about what works for them, what makes information click in their brains and stay put! It’s not my job to make my relational learner more independent or vice versa. Time4Learning has helped me to meet all four of our children’s learning styles! My relational learners THRIVE with the interactive lessons while my independent learners FLY because they are able to work independently. How about you? What type of learner do YOU have?